The odds of his poker win were one in 20,000,000. 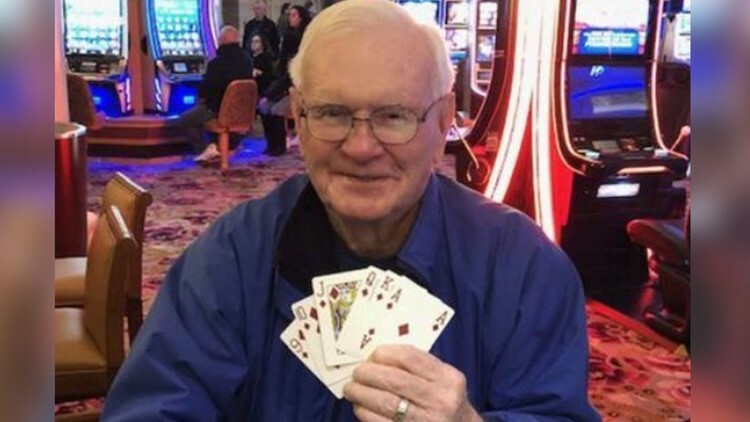 ATLANTIC CITY, N.J.-- A New Jersey man got an early – and unlikely – Christmas present when he won $1 million on a $5 bet at the Borgata Hotel Casino & Spa on Saturday. If that's not good enough, the New York Post reports it happened one day after he learned his wife was now cancer free. It was the first time in the resort's 15-year history a $5 wager netted such a prize, CBS Philadelphia reported. The casino tweeted that the lucky winner, identified as Harold M. of Lakewood, put $5 on the Three Card Poker "6 Card Bonus" wager. The man was dealt a 10, Queen and Ace of Diamonds, while the dealer held a 9, Jack and King of Diamonds. That gave the winner a "6 card Royal Straight Flush of Diamonds" – and a million bucks. His wife had undergone multiple surgeries for liver cancer and colon cancer in recent years. They just learned the day before she no longer had cancer. By the way, about that win, according to CBS Philadelphia, experts say the odds of hitting the flush are one in 20,348,320. By comparison, the odds of winning the $1.6 billion Mega Millions jackpot in October was roughly 1 in 300 million.